Welcome to edition #13 of our news series, where we share with you the latest resources we’ve found on social skills, making friends, and more. In this edition, we’ll discover how smartphones are affecting our social skills and how you can make lasting relationships by putting your phone down. Don’t forget to subscribe to the newsletter so you don’t miss any future editions! What Are Smartphones Doing to Our Social Skills? You see it EVERYWHERE – step outside and you’ll immediately notice people with their faces buried in their smartphones, checking messages and scrolling through Facebook. 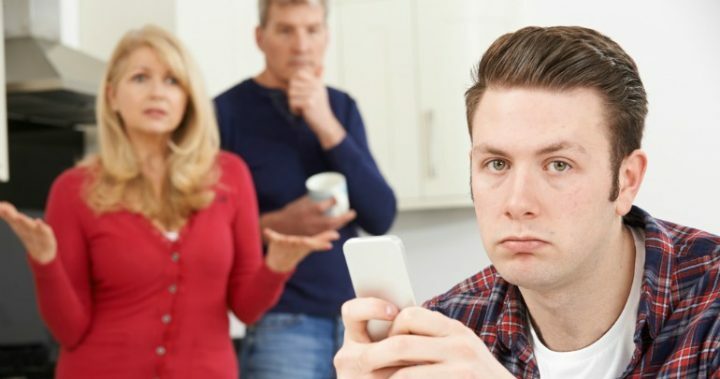 While mobile phones are a great way to stay connected and provide hours of entertainment, experts say they are also having a negative effect on our social skills and manners. Being distracted by your screen during conversations with friends and family can put a wedge in your relationships. This article on startsat60.com reveals how time that used to be spent talking about each others’ day and catching up has been replaced with constantly picking up your phone to respond to a text or check to see who liked your status on Facebook. For some, it goes beyond habit – smartphones can become an actual addiction. Like we always say, technology has enabled people to connect in many ways; we must be careful not to let it replace real human interaction or keep us distracted and isolated from loved ones in the same room. The real trap here is to “buy into” what you see on social media. People portray themselves to be at least 10 times more cool, social, and smart. You see photos of people hanging out with others, looking like they’re having the time of their life. With time, that can give you the impression that that social media activity equals being really social. When in fact, that’s only one tiny part of a real social life. Just because many socially-active, extroverted people are spending hours and hours on social media,… doesn’t mean you should too. You can be as socially active as they are, or even more so, and not necessarily broadcast all the time. The main thing to remember is this: 99% of Your Social Life Happens In Real Life. Don’t confuse social media activity with building a social life. No “virtual friends” unless there is a real chance we’ll meet up soon. The only exception is for those who live in other cities/countries. Focus most of your social media activity (and chatting) with people you actually meet. When chatting with friends, it’s often about making plans to meet up soon. Everything else on social media is just keeping up with news and subjects I care about. Social media should enhance your social life, and not give you the “illusion” of socializing. If you’re gonna care about someone online, it should be someone you’ll actually meet, or someone you care about who just happens to live far from you. Can Putting Down Your Phone Help You Make Friends? Although modern technology has allowed us to remain in touch with friends, family and colleagues from all across the globe, it has also prevented us from forming close relationships with the very people around us. Can putting down your phone actually help you bridge the gap between being acquaintances and becoming true friends with someone? Inc.com shares some ideas about how to be fully present in the moment when you are with people. You can build true, lasting friendships when you simply have meaningful conversations without scrolling through Facebook or constantly checking your text messages. Put down your phone, lock your tablet, close your laptop and just listen. Do this at least once a day and you will be surprised how easy it is to get to know someone! What I generally recommend is that you consciously use your phone, when you’re among friends. It all depends on the situation. If you’re with people you’re just getting to know, people you haven’t seen for a long time, if you’re with people discussing important subjects, then it would be best not to “check your phone” while you’re socializing with them, especially if it’s a one-on-one setting. When you’re with people you meet regularly, then it’s okay to check your phone from time to time, but after you’ve established enough comfort and exchanged all your “news” with each other. Let’s face it, showing something funny on your phone to a friend is also a form of socializing. It also depends on your/their age. If you’re a twenty-something, then it’s much more accepted; if you’re a forty-something, then it’s less likely. The key word here is calibration. Sometimes, you’re hanging out with people in a less “intense” type of interaction, so it’s okay to check your phone. Sometimes, they really want your attention and really want to be heard, so you have to be sensitive and detect the social clues they’re sending. This is why I emphasize (in GTFYW, and the ASST) on detecting the social clues other people are sending out. If you can read those subtle signals, you’ll be okay in most social situations, with most reasonable, friendly people.